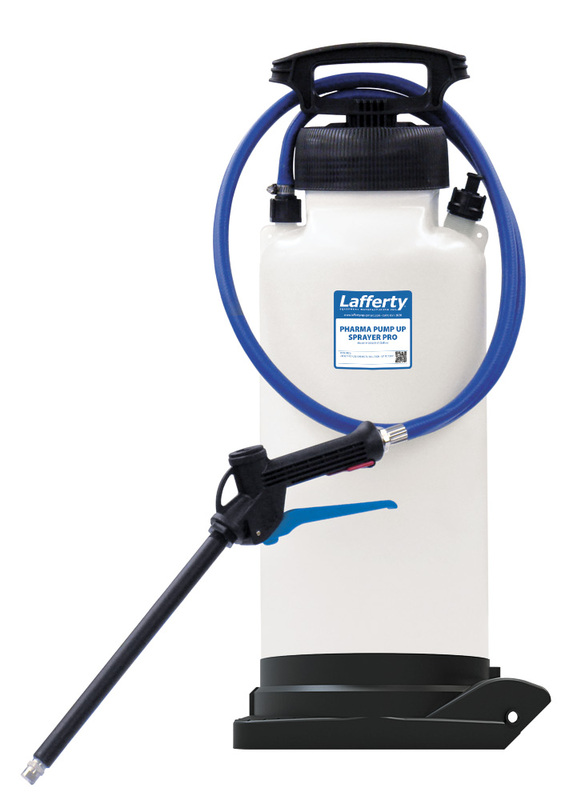 Pharma Pump Up Sprayer Pro, 3 Gallon | Lafferty Equipment Manufacturing, Inc. The 3 Gallon Pharma Pump-Up Sprayer PRO is a heavy-duty, portable spray applicator for applying ready-to-use chemicals on to any surface. This "Pro" model features a durable 6' hose, trigger gun, wand, two fan nozzles and one zero degree nozzle. The "Pharma" designation indicates that the Materials of Construction are compatible with the requirements of the Pharmaceutical Industry. This unit ships with a Certificate of Conformity. Just fill the tank with ready-to-use chemical solution, pump it up and spray!